This garden would be impossible without the generous support of many people- add your name to the list! At the Bishop Griffin Resource Center, we can walk out the back door to the award winning St. Vincent dePaul Family Life Community Garden and have fresh produce to pass out along with the shelved staples in the Food Pantry! The garden produces over 1000 lbs. of veggies, fruit, & herbs to give to the hundreds of people that visit the food pantry during the summer, as well as providing plants to help clients in starting their own garden. This impressive garden has produced a bounty of: tomatoes, tomatillos, okra, summer & winter squash, potatoes, peas, beans, swiss chard, kale, 5 varieties of peppers, collard greens, leaf & head lettuce, spinach, onions, garlic, berries and herbs! There is also a greenhouse that helps us get a head start on the summer growing season. We can start nearly 1,000 plants to share with those we serve. The garden also provided educational opportunities for local school students to learn about soil science and the art of growing organic food. The garden also hosts a team of Special Needs gardeners who come monthly during the growing season to learn about, and help with growing and harvesting our plants. 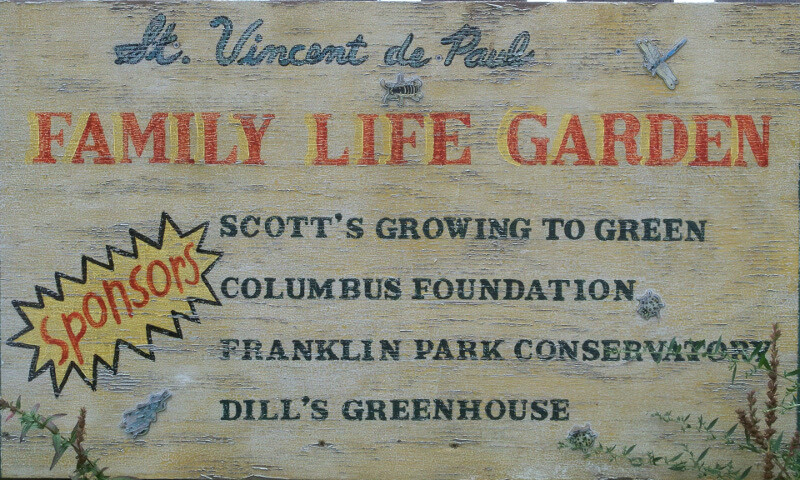 The community garden was started in 2007 by Marge Telerski and Connie Ford, parishioners of Christ the King Church. They received a grant from the Columbus Foundation to build raised beds and a fence. They have grown from 8 beds in 2007 to 22 beds of herbs, raspberries, strawberries, annuals, and perennials! Their plants came from donations, Dill's Greenhouse and seed. The Bishop Griffin Resource Center is a 501©3 nonprofit as determined by the IRS. Contributions to the Bishop Griffin Center are tax deductible under section 170 of the Internal Revenue Code.